I have a quick little card to share with you today. 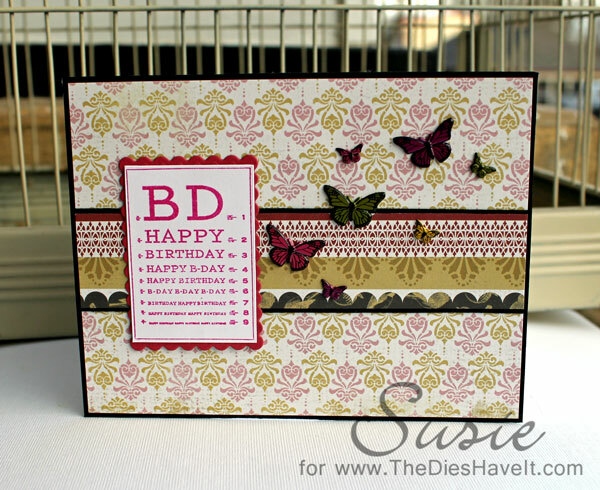 The background is made totally of scraps that were laying on my table. The real star of this show is the family of butterfly brads taking wing to wish you a happy birthday. If you like these butterflies, you can get them at Eyelet Outlet. I have used two sizes for a bit of interest. I just LOVE their brads!! 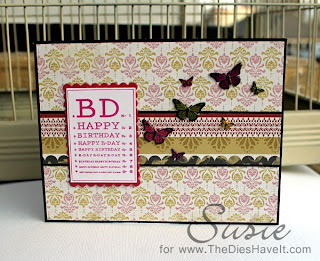 Do you use brads in your scrapbooking? I have to tell you, I just love the dimension they bring to my projects. Give them a try and I think you'll be glad you did.